Travel to the exotic destination of Mauritius with your loved ones and enjoy the beautiful white sandy beaches, amazing water sports activities, lovely natural sceneries and world-class accommodations here. 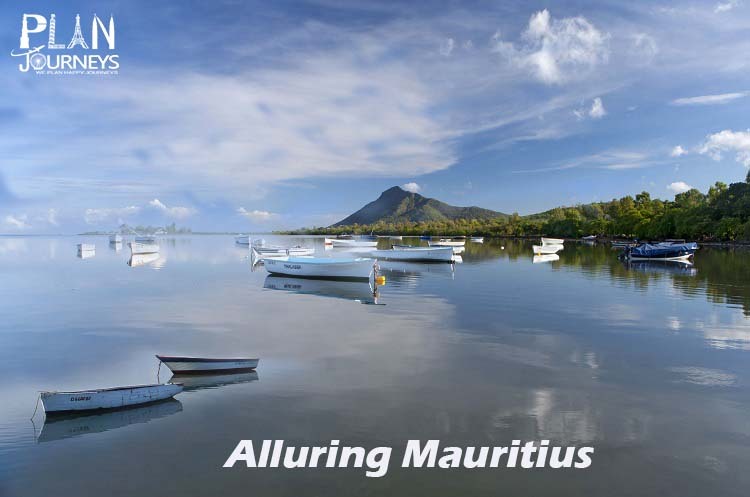 With year around tropical weather, Mauritius is a perfect destination to visit anytime and during the year. Check out Mauritius honeymoon packages for newly wedded couples from us and get the best offers on 5 star hotels in Mauritius. Team Plan Journeys will ensure that you will get the excellent quality of services from us while traveling on a Mauritius holiday package from India. Meet and greet at the airport on arrival. 06 nights accommodation in chosen hotel / resort. 03 full day city tours. Return airfare. 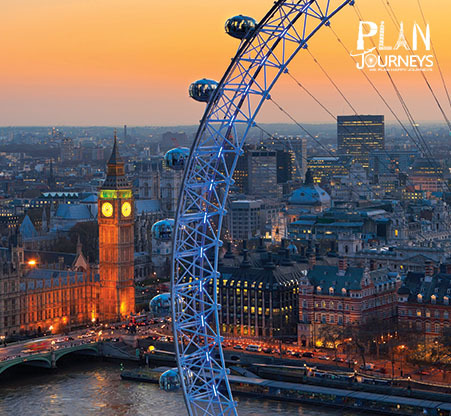 (Check out the latest airfares from team Plan Journeys). 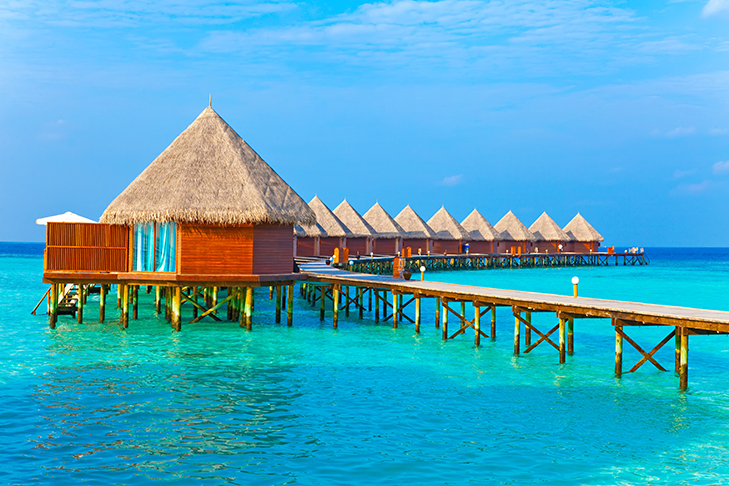 Excellent services and freebies for honeymooners. 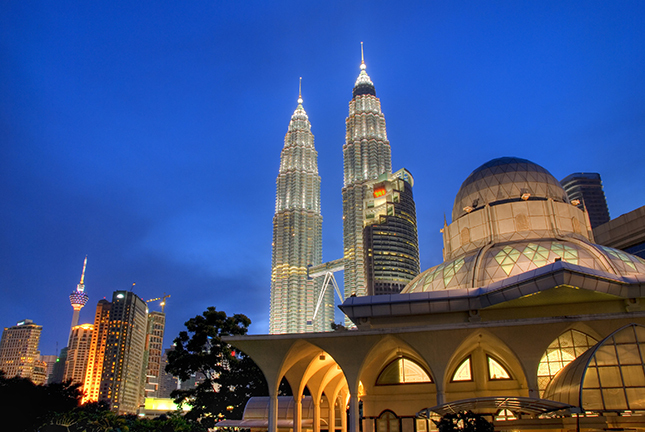 All inclusive vacations – including accommodation, 2 major meals, sightseeing and tours. Varied choice of accommodations starting from budget to most luxurious brands in the world. All Services are subject to availability..
Prices are subject to Change..
ROE taken 1 USD = INR 74, subject to change. Current ROE will be applicable on the day of making final payments..
1 Days (Arrival in Mauritius) On arrival at Mauritius International Airport, we will pick you and transfer to your chosen resort in Mauritius for check in. (You can select the SIC or private transfers based on your choice.) After check in, relax in your resort and enjoy the beauty of Mauritius. Overnight accommodation and dinner at your resort in Mauritius. 2 Days (Full day tour of North Island ) After breakfast, we will start our sightseeing tours in Mauritius and will go for a full-day tour of North Island. We will visit the capital of Mauritius – Port Louis with its world famous French colonial buildings, the exotic Caudan Waterfront and the Harbour. Explore Citadel – The Fortress before heading towards the building complex which is now a UNESCO World Heritage site - Aparvashi Ghat. Later come back to your hotel for a dinner and overnight stay. 3 Days (Full day tour of Ile Aux Cerfs by speed boat) Today after breakfast, we will take you to eastern coast of Mauritius, to explore the Ile Aux Cerfs Island which is a paradise for water sports lovers. You will get best water sports facilities like undersea walk, parasailing, snorkelling and many other activities ( book your water sports activities in advance, check the same with team Plan Journeys) or you can also spend some time swimming in the blue waters before relaxing on a beach chair and having some cool drinks there. 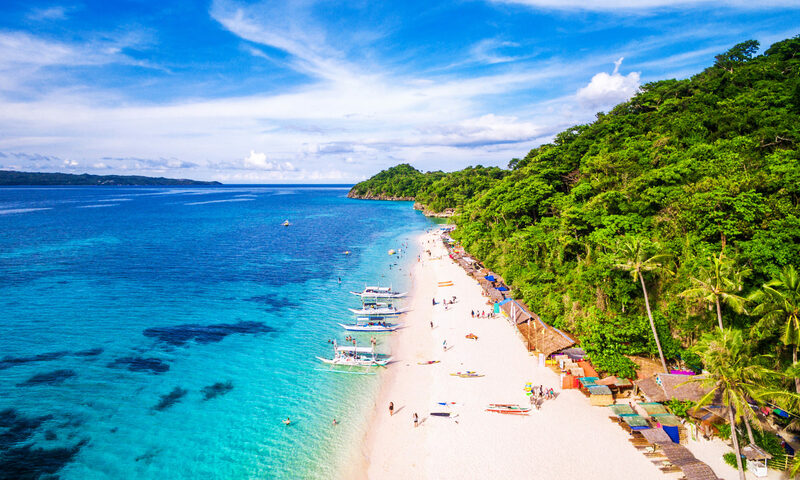 (Don’t forget to carry your swimwear and a beach towel to have unlimited fun here.) Later in the evening we will return back to our resort for a scrumptious dinner and overnight stay. 4 Days (Full day tour of South Island) After enjoying a delicious breakfast at your resort, we will go for full day sightseeing tour of South Island in Mauritius. Today you will visit the Trou Aux Cerfs which is the crater of an extinct volcano. You will get mesmerized with the amazing views during the tour of Chamarel and discover its colored earths and waterfall before visiting Curepipe Town where you will get the chance to shop for some souvenirs for your loved ones. We will also take you to see the Sacred Lake of Grand Bassin - a natural lake at the base of volcanic crater and a pilgrimage place for Hindus with its famous Shiv Mandir there. End of the day, we will have dinner at your pre booked hotel before heading back to the room for a relaxing sleep. 5 Days (Optional tours in Mauritius) Breakfast in your resort and relax in your hotel. The day is reserved for optional activities in Mauritius. You can go for a full day tour Casela Bird Park tour with or without interaction with the lions, go for Catamaran cruise, hire a car full day or half day or go for Dolphin watching tour. There are ample of activities to do this day, please get in touch with team Plan Journeys’ Mauritius tour expert for more information about various activities to do during your visit to Mauritius. Dinner and overnight stay in your resort. 6 Days (Free day to Relax) Breakfast in your resort and keep this day for last day relaxation in your resort or go for last minute shopping tour of Mauritius. Shop till you drop at Cudan Waterfront in North Island, try some local dishes at one of the many world-famous restaurants here or just chill out at one of the cafes. 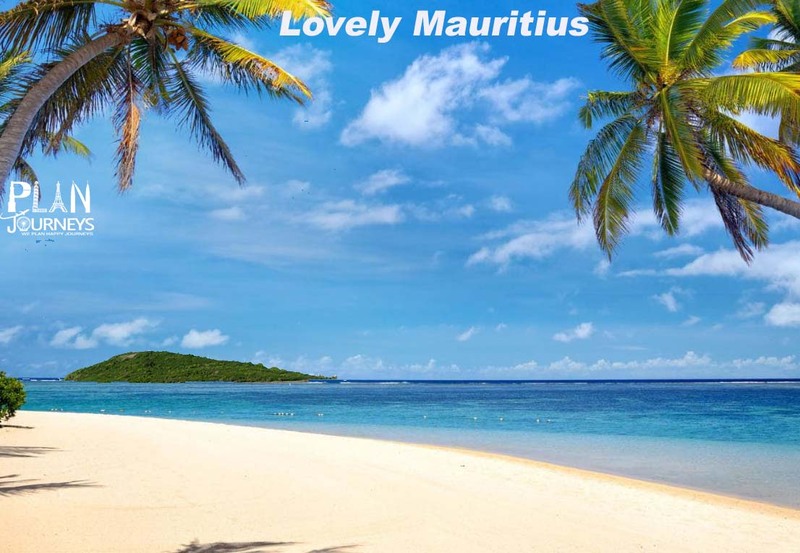 You can also spend some leisure time revisiting one of the several beaches in Mauritius which you have already covered during your sightseeing activities in Mauritius and relax there for one more time. Later in the evening come back to your resort for dinner and overnight stay. 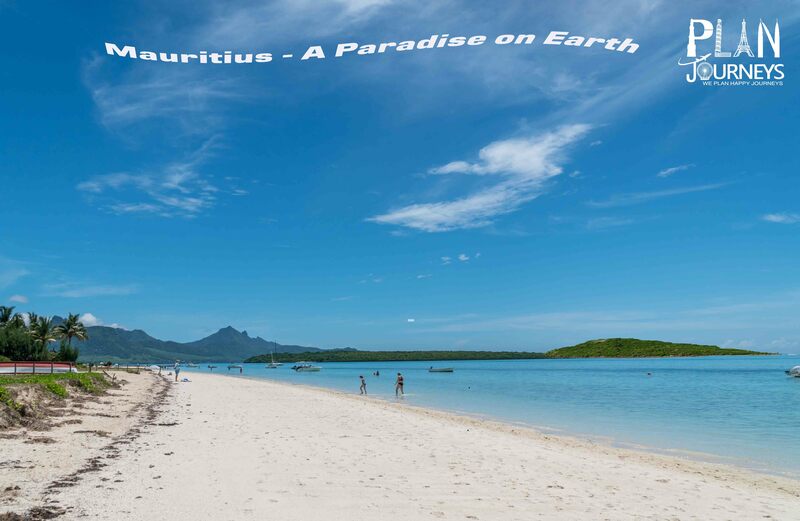 7 Days (Departure Day) After breakfast in your hotel enjoy your last day in Mauritius. Later check out and board your vehicle for a transfer to the airport. Come back with happy memories of your trip to Mauritius and share your feedback with team Plan Journeys to let us plan another beautiful holiday tour to some other destination of your choice.